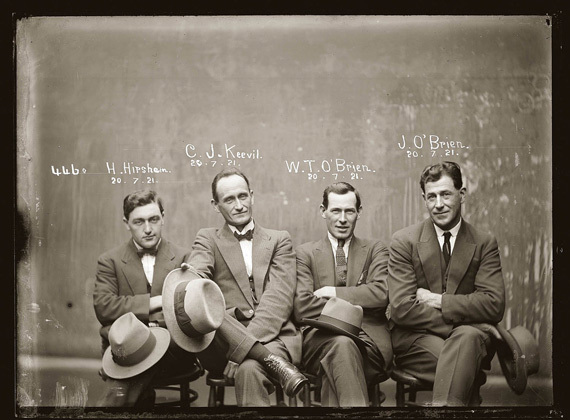 Hat tip to Joelle_writes for this find of these early 1900’s mugshots from Sydney. Several things intrigued me about these shots as I spent time scrolling through them this morning. First off, the quality of the images is quite impressive for being approximately 100 years old. Second, I love the fact that in each of these, the men are all well-dressed which could either be a product of the times or of their circumstance. And finally, I love the fact that I can almost feel the story behind each one by their facial expressions and/or posture. Purely for my own entertainment, here’s four with my own short take on how they ended up in each situation respectively. 1910 was the first year of Prohibition in Australia and it lasted for 17 years before repeal. Their July 7th, 1920 date has to be taken into account on this one. While not overly excited to be there, each of their faces shows that they know a night out on the town landed them here and that a simple slap on the wrist is in store. 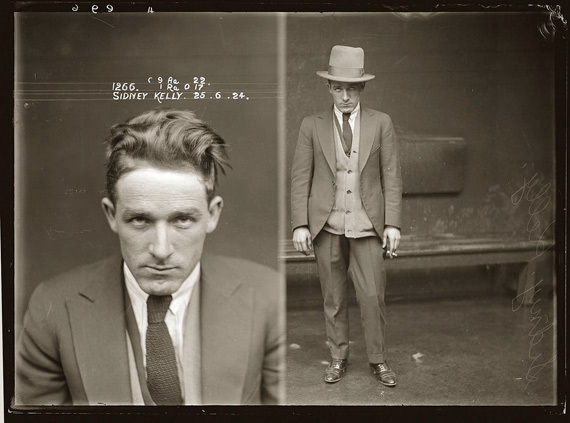 Sidney Kelly had a rough day at work and I’m guessing things got a little out of control after-hours. His posture and lack of emotion make me think that he got into a little scuffle while the lack of dirt and wrinkles in his clothes make me think he probably won. 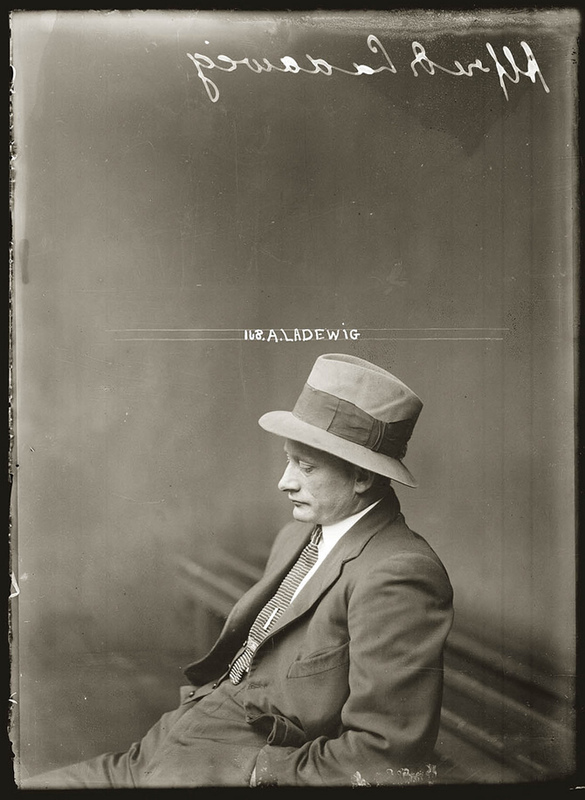 Everything about this one makes me think that Alfred Ladewig knows he has some serious explaining to do. His wife isn’t going to be happy and he knows it. Also worth noting, as hard as we try with apps like Instagram, the natural effects, colors and filtering on this photo just can’t be replicated. 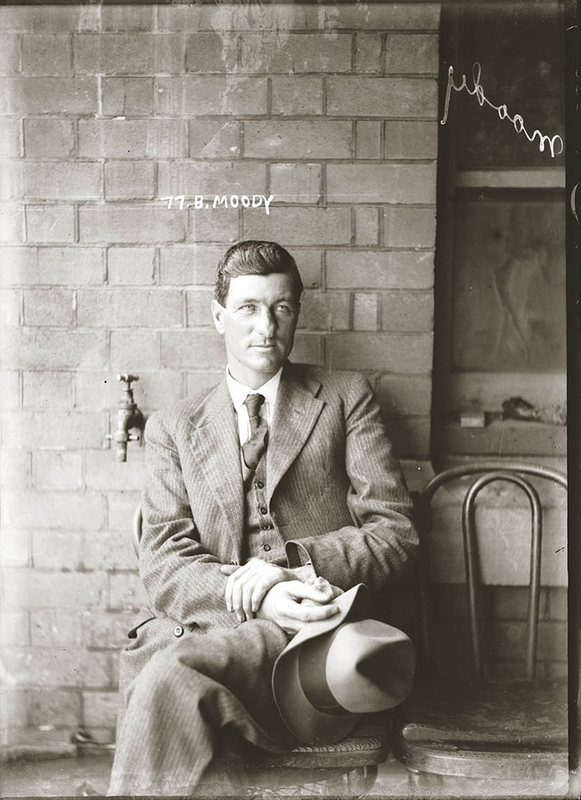 Mr. Moody has money. The things that tip me off are the fact that his hair is kept neat; the environment that he’s in doesn’t scream cell-material (chairs, window, faucet, etc) so he’s probably only in the station for a short while; and the fact that his posture shows that he knows he’s getting out of this in one way or another. Either by paying his way out or having the money to make sure his lawyer makes this go away. I suspect racketeering. Thoughts? Have your own take on any of these or the others posted?